It's sunny in Seattle....so everyone is out for a stroll at Alki......don't think there is anyone at work today...all stretching the 4th of July holiday into a 5 day deal. 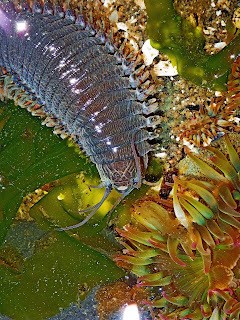 A large Pile Worm...Nereis brandti joined the sun worshipers....not a good idea as the beach got rather warm. 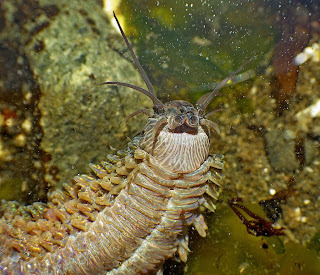 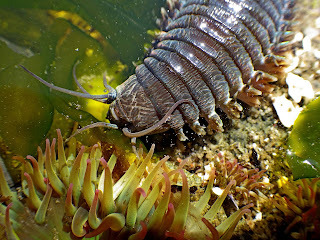 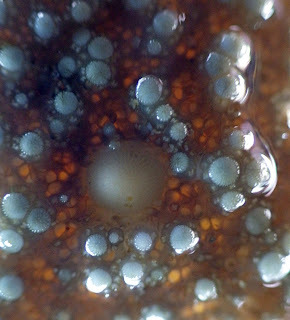 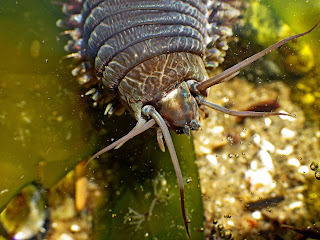 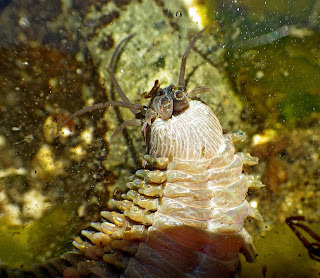 After posing for some pictures the worm was returned to a cooler water depth. 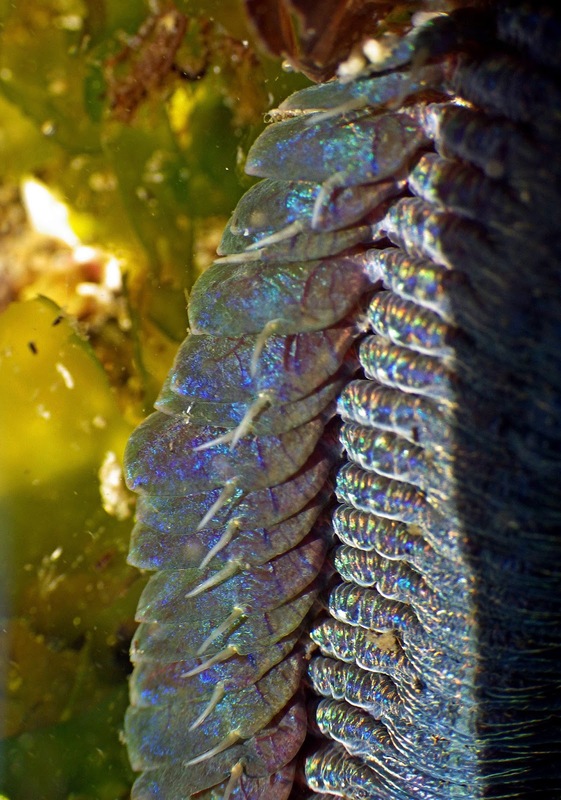 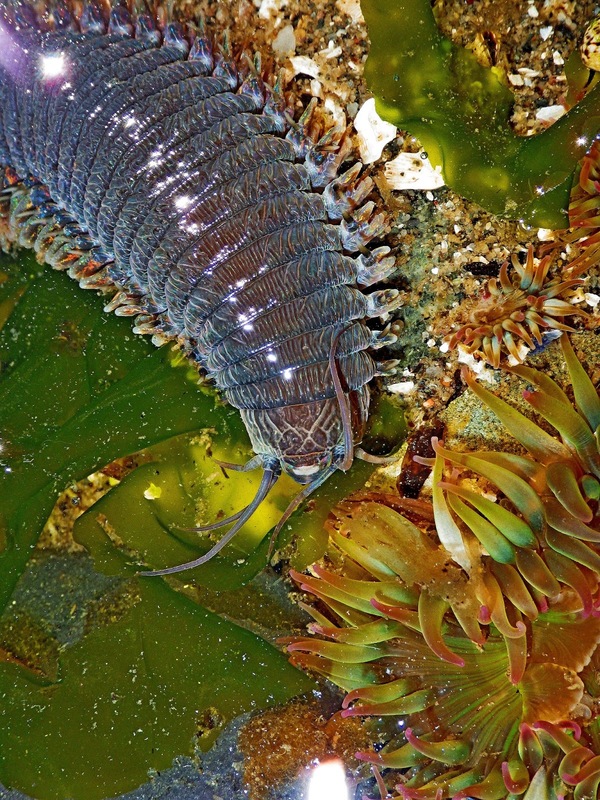 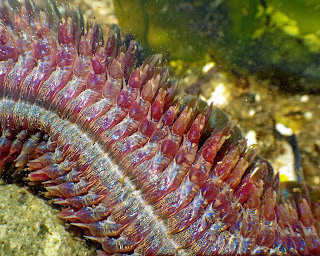 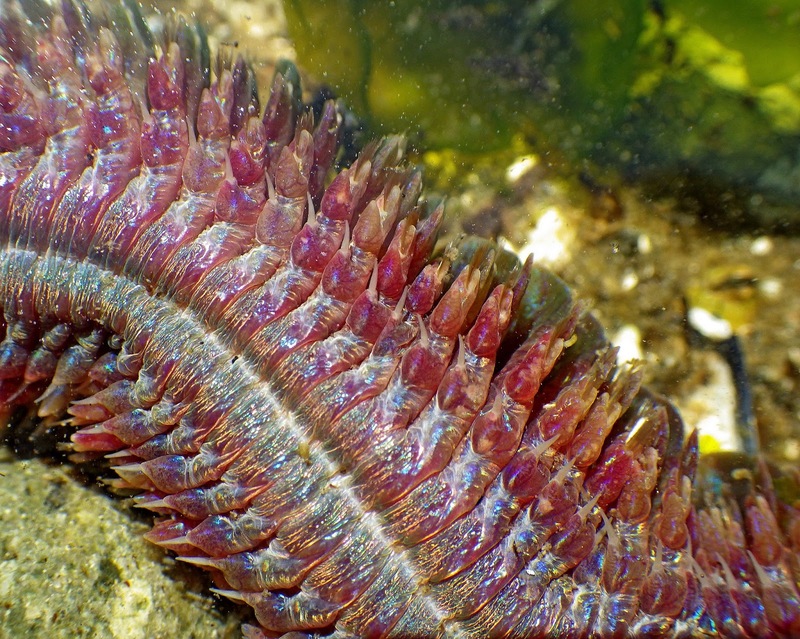 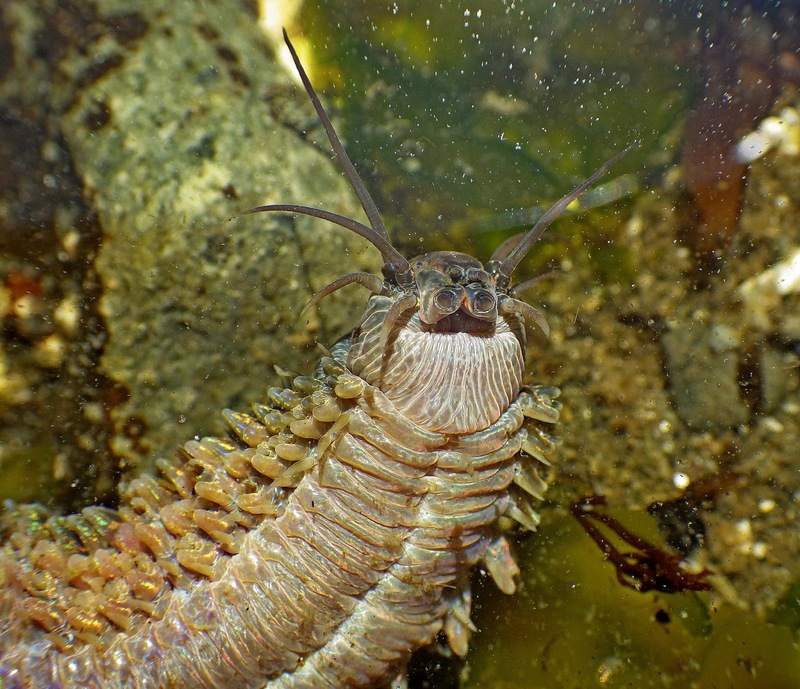 These large polychaete worms reach lengths of 90cm but are usually about 1/2 that long. 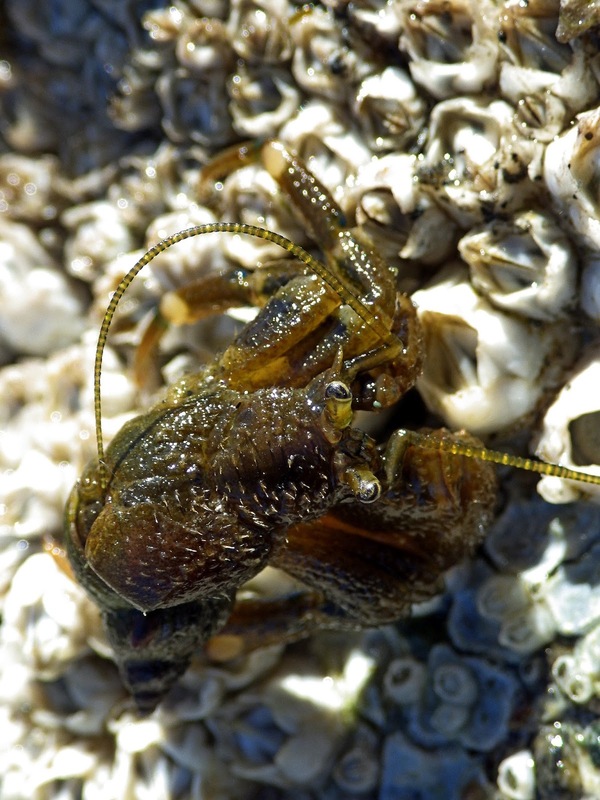 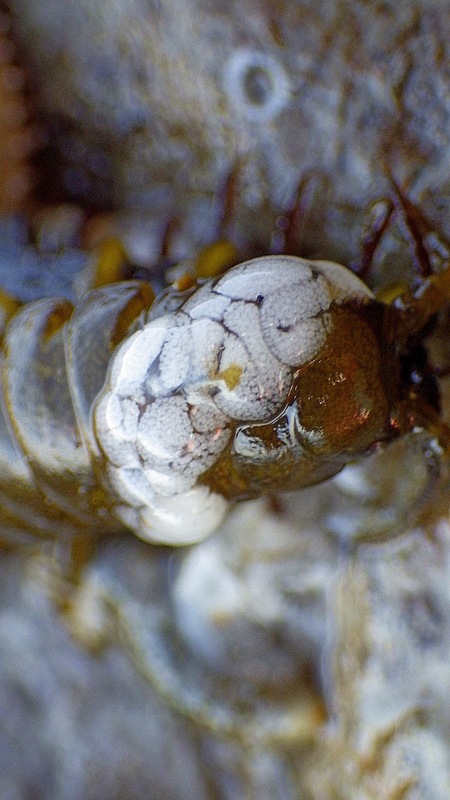 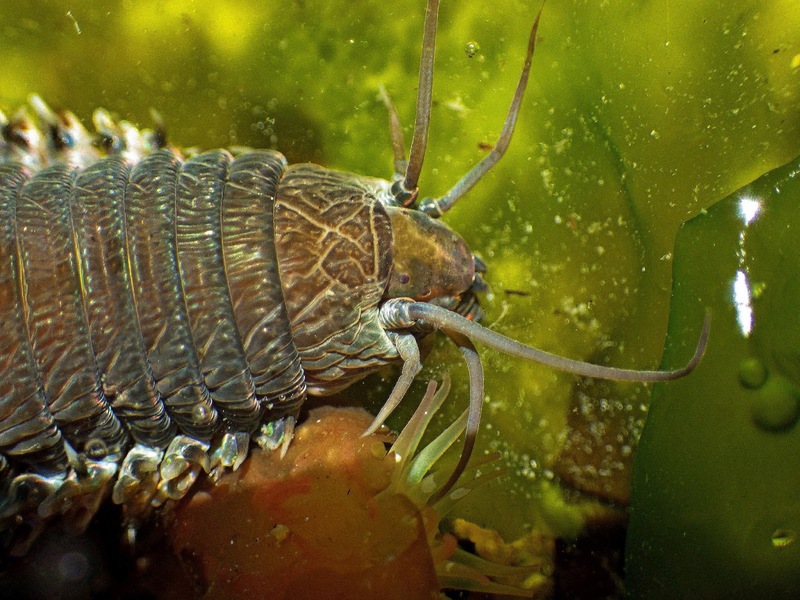 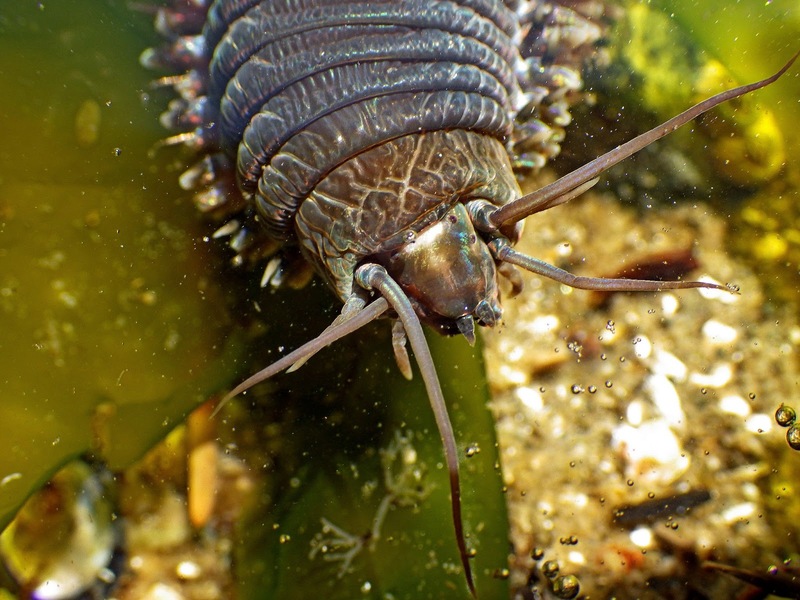 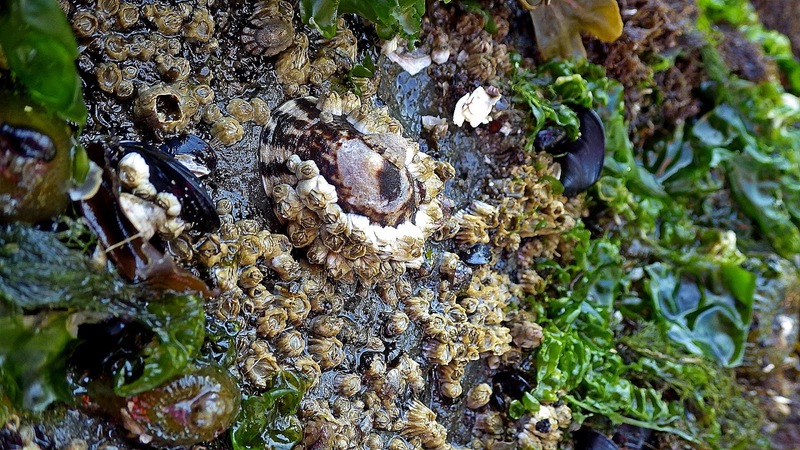 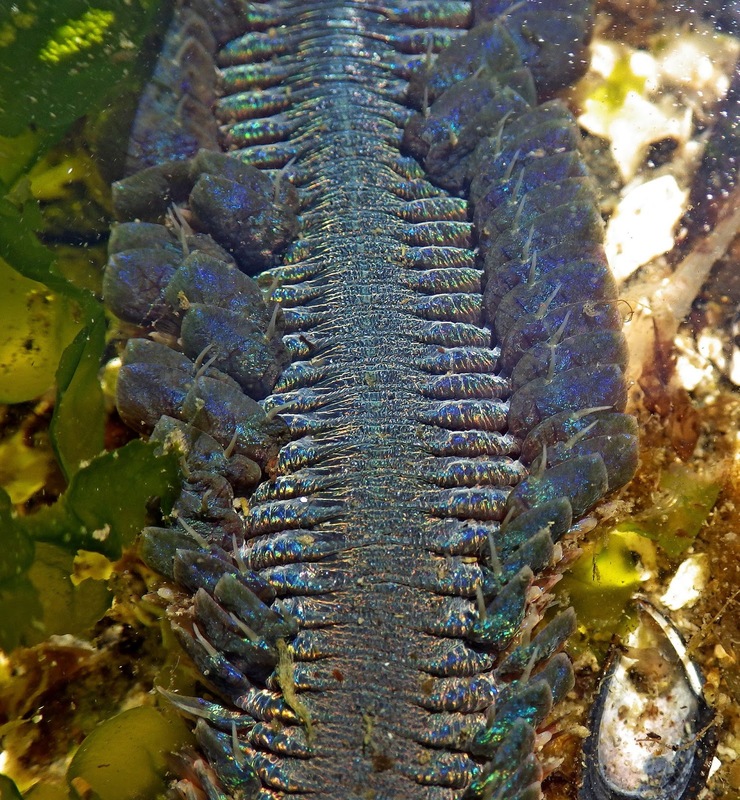 In addition some Frilled Whelks were mating, a hermit crab was giving a tiny sea squirt a ride and a Rockweed Isopod was running around with Opalescent Nudibranch eggs attached to its back.....just another normal day in the intertidal.